Yaounde, CAMEROON – Polls have now closed in Cameroon in a presidential election that has been disrupted by a number of violent incidents in English-speaking parts of the country. The BBC’s Ngala Killian Chimtom, in Yaounde, reported on the run-up to the polls, as the octogenarian leader, Paul Biya, seeks a seventh term in office. A large poster of Paul Biya hangs like a street sign in Cameroon’s western city of Bafoussam. 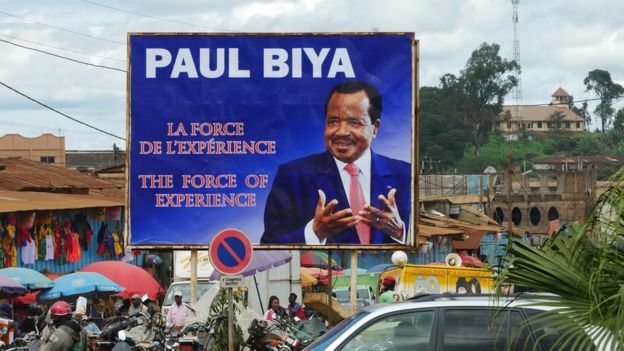 “The force of experience,” reads the poster in reference to President Biya’s 36 years in power, to which he now hopes to add another seven-year term. A couple of metres from the poster, members of Mr Biya’s governing CPDM party are meeting to drum up support for the person they call their hero. “Young people may be eloquent. They may make big promises, but none of them can have the steady hands to run a large country like Cameroon,” says party supporter Emmanuel Ndam, 58. “For over 30 years, our president has been tested by various crises, and each time, he has been able to overcome,” Mr Ndam adds. “Just look at the mature way he handled the Bakassi crisis with Nigeria. Some hot-headed youth could just have messed up the situation,” he adds, before making his way into the meeting hall. His comrade Alice Meye, 22, agrees. She says only President Biya has the wherewithal to resolve Cameroon’s myriad crises, most urgent of which is the unrest in the country’s two English-speaking regions. “Even in death, President Paul Biya will continue to reign,” she said. But not everyone believes Mr Biya, Africa’s second-longest serving leader, still has the charisma and the physical stamina to stay at the helm. 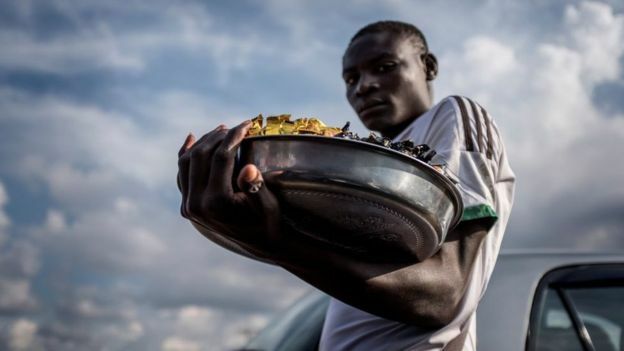 Picking out specks of beef from his teeth with a wooden pick, Ibrahima Sadiki, a resident of the capital Yaoundé’s swampy Briqueterie slum tells the BBC “the old man is tired”. Arguments about the president’s age, however, pale in comparison to the numerous problems Cameroon faces today. A separatist uprising in the country’s two Anglophone regions – the North-West and South-West – is stretching Cameroon’s much-hyped unity to the limits. In October 2016, teachers and lawyers in Cameroon’s English-speaking regions took to the streets to protest at the imposition of French in schools and courts. But those protests soon took a political dimension, with thousands of English speakers taking to the streets on 1 October last year to declare the independence of a new country they called “Ambazonia”.